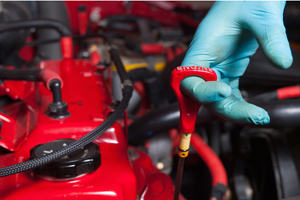 Regular maintenance is the single most cost-effective way to prevent expensive repairs. At Tune Tech, we believe it’s reasonable to expect your car to remain in great condition when you follow its factory-recommended service schedule. That’s why we provide specific maintenance requirements for your vehicle, including the manufacturer’s general recommendations, and then contact you each time your car needs maintenance to schedule an appointment. Tune Tech recommends oil changes every 3,000 miles, as well as preventive maintenance at the following mileage intervals for most cars: 3k, 6k, 15k, 18k, 24k, 30k, 60k, and 90k. We can also provide you with specific factory-recommended services for your vehicle upon request. At Tune Tech, our experienced technicians use only the highest quality parts available. That's why we can back all Tune Tech service and repairs with our 24-month, 24,000-mile warranty.